Thursday November 26th 2015 will see many of us gathering at the family table for a Thanksgiving feast. Our family Thanksgiving feast will be hosted by youngest son and his family. It is their first time and we will be traveling to their house. Will you be traveling for the Thanksgiving holiday? Well there are some do's and don'ts that you will want to be aware of. First trick, deciding on what day to travel. Many schools in our area and maybe your own will be closed on Wednesday. Wednesday is also the most traveled day during the Thanksgiving week. 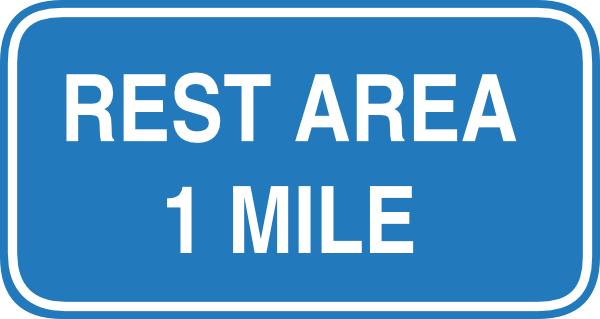 Google maps shares that Wednesday is the worst day for most areas to travel on. So perhaps it is better to wait til Thanksgiving day Thursday or go up late Tuesday. But, if you must travel on Wednesday then there are some more preferred times to travel. So now that you have decided when you will leave on the trip its time to prepare to leave. First, get your car inspected. Have a ASE mechanic check the car for any problems, tires and tune up. 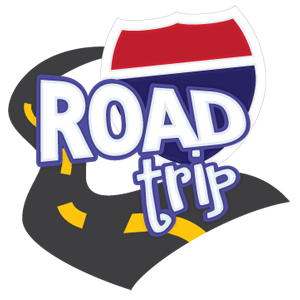 Having your car in tip top condition will be safer for your family to travel as well as give you the best ride and gas economy. If it is will be a long ride plan for several stops along the way. Whether it be to just stretch your legs, clear your mind or get a drink riding in a car for hours can get long and frustrating. When that ride in a car involves young children it becomes even more important to make those stops. If you are blessed to have a vehicle that has either a game or dvd built in then that is awesome one tip to remember is offer headphones so that it will become distraction to other riders. However, there are take along items that you can bring on a ride to offer more comfort for all riders as well. Just make sure to pack these before leaving on the trip. It is also better to travel back home on Sunday rather than on Saturday. More traffic will be heading back home on Saturday to prepare for the week ahead but waiting til Sunday will find about 40% less traffic. My first thought is time to get prepared. 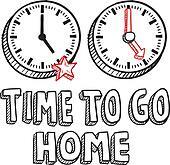 I work early mornings and sometimes work late into the day coming home in the evening. So the thought of commuting to and from work enters my thoughts and since we are not always ready for early morning not knowing what will happen when we are a sleep it is best to do things ahead of time. We have been hit with winter storms that traps us inside the house. No chance to get out and get anything so having an emergency supply kit on hand is what we need to do. Three days’ food that doesn’t need refrigeration or electricity to prepare it. Three days’ water (a gallon per person per day). A battery-powered and/or hand-crank radio with extra batteries. A first-aid kit, prescription medications, blankets and warm clothing, and supplies for special members of your household and pet items. A power pack for recharging cellphones and other mobile devices. For businesses and offices, keep some bottles of water and food bars on hand. Have a radio to hear local information about whether or not it is safe to travel. Officials may advise staying in place until it is safe to travel. Be sure to keep an emergency kit in your car as well. 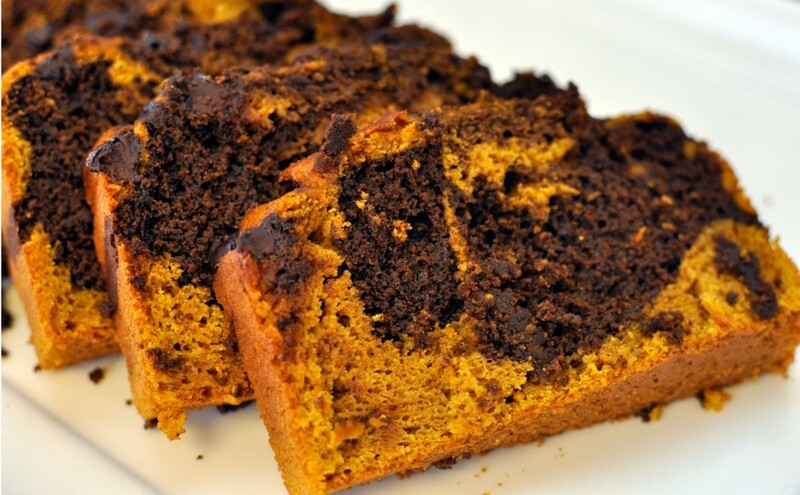 This is a delicious recipe that should please both the pumpkin lovers and the chocolate lovers. I simply love the marbled orange and black look. Serve up with some flavored cream cheese and you have a real treat. Enjoy!! Bake in an oven preheated to 350 degrees for 1 hour, or until a toothpick inserted into the middle of the bread comes out clean. My daughter has requested more pumpkin. So in my attempt to locate more pumpkin recipes for her I turned to one of the common resources that my grandmother would have turned to the U of I extension. She was a homemaker with lots of knowledge even in the old days. Preheat oven to 350°F. In a large bowl, beat egg whites slightly; add pumpkin and melted butter or margarine beat until smooth. In another bowl combine oats, brown sugar, coconut, wheat germ, and nuts. Fold oat mixture into pumpkin mixture to form stiff dough. Press dough into a lightly greased 15 1/2 x 10 1/2 inch jelly roll pan. Bake 40 to 45 minutes or until golden brown. While still warm, cut into 2x3 inch bars. Yield about 30 bars. Serve warm or cool completely. Recently our oldest son called to ask for a bit of help. The problem was that him and his wife had bought a new washer and driver and were not sure how to hook it up. So like with everything else they called for their dad to come over and help them. This time though dad taught them how to do it rather than doing it for them. That way if the problem ever arises again then they will have the skills to do it their selves. There are two main parts to hooking up a washing machine. Attaching the water supply is the first part. Washing machines are equipped with PVC hoses to link to the water inlet at the back of the washer. Special miniature valves connected to the house plumbing. The hoses are color coded with red for hot and blue for cold. It is important to make sure that the valve is turned off. Connect the hose by screwing it to the valve. All should be nice and tight before valve is turned on. The second part is to connect the waste system. The waste system allows the water to escape from the washer and go down the sewer. The standard method of the waste system connection includes a standpipe and trap. The machine hose fits loosely into the pipe so dirty water can not re-enter the machine. This past Sunday our children's classes teamed up with adult classes and packed Operation Christmas Child boxes. Here are a few pictures of my Princess taking part. With all the hard work going on of course we had to have a bit of a snack. I so wish that I had the chance to get a picture of the cake we tried The truth is that the cake was gone before I could even snap a pic. Everyone loved the yumminess of the pumpkin dump cake. It was smooth and spice with no better flavor than pumpkin. You may want to try this easy recipe and share with your friends, family or next gathering. 1Pre-heat oven to 350 F.
2Grease a 9x13 baking pan. 3In a large bowl combine pumpkin, eggs, brown sugar, white sugar, evaporated milk and salt and spice. Stir well to combine, or beat on low to mix. Pour into prepared pan. 4Sprinkle with cake mix and nuts over the top of that. 5Drizzle the melted butter over all. Bake for 50-60 minutes until edges are lightly browned. Cool and serve with whipped cream. In a mixing bowl beat the cream cheese until smooth. Add the pumpkin, beating well. Add the sugar and spices, beating well until it's a smooth, creamy consistency. Refrigerate until ready to serve. Perfect with cookies or muffins in the fall! The weatherman is calling for cold weather and lots of rain. 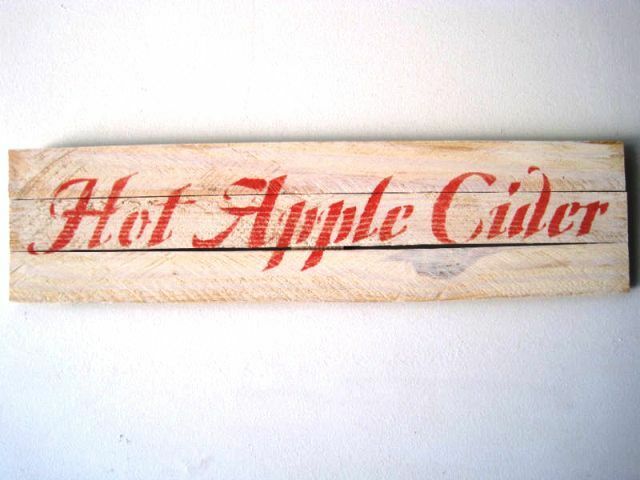 I believe it is time to sit back, come inside and relax a bit with some hot apple cider. care to share a cup with me?? Heat the cider, cinnamon, nutmeg, cloves, and orange slices in a 3-quart saucepan. Cook over medium heat for 5 minutes or until the mixture is hot, stirring occasionally. Strain the cider into a heatproof pitcher or individual mugs. Garnish with cinnamon sticks and whipped cream, if desired. One thing that will always find a place on the holiday table is deviled eggs. So many of my own children love them and they take that naturally as it was always one of my favorite parts of the dinner. Do you make deviled eggs for your holiday dinner?? If you have never made them before here is an awesome recipe to try. Cut eggs lengthwise into halves. Slip out yolks and mash well with a fork. Fill whites with yolk mixture, heaping it up lightly. 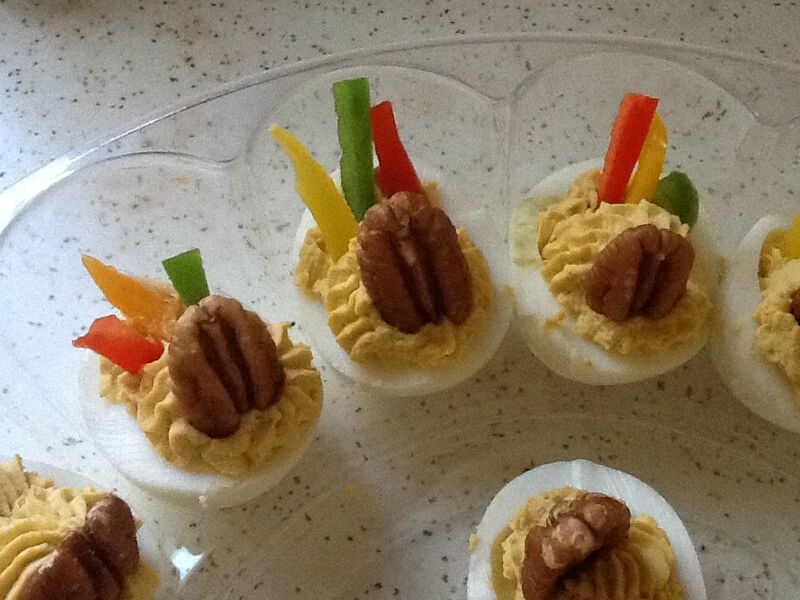 There are so many ways to decorate your deviled eggs. Here are some cute ways that we found What do you think?? We often have a good ham or turkey and dressing as the main entrée. Ham and other pork products can cause pancreatitis, upset stomach, vomiting and diarrhea. Ham also tends to be high in fat which can help lead to obesity in pets. 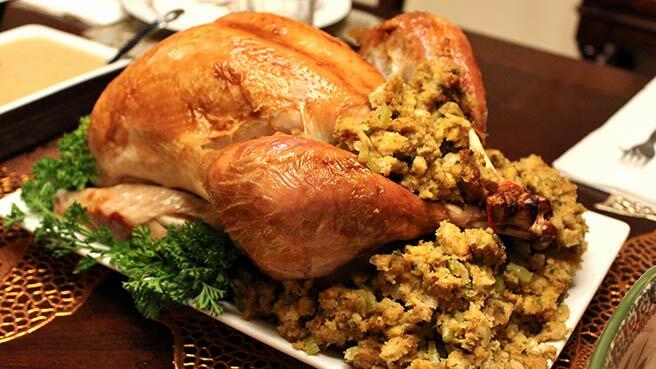 Many of us look forward to turkey and dressing or stuffing. Because the dressing or stuffing often has onions, scallions or garlic in the ingredients it can be toxic to our pets which can lead to a life threatening anemia. The turkey bones can cause severe indigestion problems in dogs and cats. Problems including vomiting and obstructing the bowel. Turkey bones may also splinter and cause damage to the inside of the pets stomach and intestines. Many salads served at the holidays will have raisins or grapes as ingredients. Fruit salad, waldorf salad and ambrosia are all examples of salads that may have grapes or raisins. Grapes and raisins are very toxic and potentially deadly and can cause severe, irreversible and sometimes fatal kidney failure in dogs. Even desserts hide dangers for our pets. Chocolate pie one of the all time favorites is toxic to dogs and cats. If your pets do ingest any of the foods on the list be sure to call your veterinarian at once. Early action may prevent more costly and serious complications from developing. In a large bowl, whip together whipping cream and sugar until soft peaks form. Thoroughly mix in orange gelatin (still in powder form, don't actually make the gelatin). You don't want to still see powder streaks or the salad will be gritty. 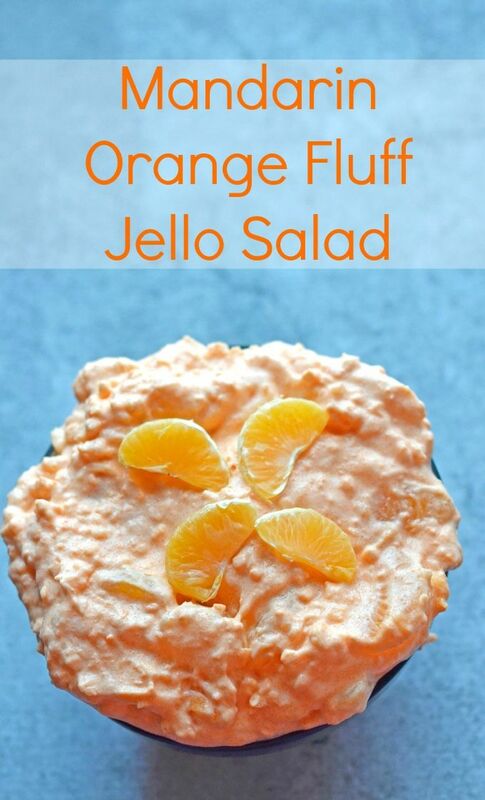 Fold in pineapple (make sure it's very well drained or it will water down the salad) and mandarin orange segments. Cover tightly and refrigerate for at least 1 hour before serving. Leftovers last about 3 days refrigerated, but salad may start watering down. *Lower fat version: Simply omit 1/2 cup (1 stick) of the butter. Combine flour, whole wheat flour, baking soda, baking powder, salt, cinnamon, nutmeg, and cloves in a large bowl and set aside. Combine butter, brown sugar, honey, and eggs in a large bowl and mix well. Stir in pumpkin. 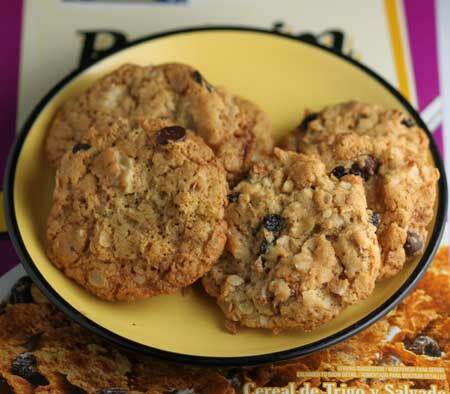 Gently fold in dry ingredients, alternating with the raisin/juice mixture. Stir in the pecans. Generously fill muffin pan. Bake until a toothpick inserted in the center comes out clean, about 25 to 30 minutes. (Bake baby muffins about 15 minutes.) 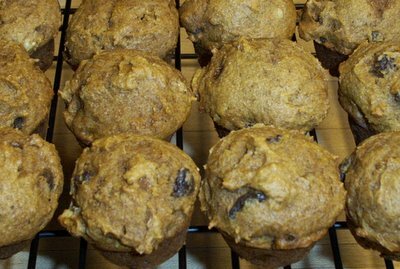 Cool muffins in tins for 15 minutes, then remove from tins and serve warm, or let cool on wire racks. Store in an airtight container for up to three days or freeze. For as long as I can remember our family has been popcorn lovers. I believe it all started with my mom and her sunday night big bowl popcorn. Me and my 5 siblings would all get our own small bowl. In the early days the popcorn was created in a popcorn popper and butter and salt would be the toppings that we would enjoy. When I was first married popcorn was my favorite snack and we prepared it in a hot air popper, (there was yet to be any microwave popcorn). Now days my family uses the microwave to pop most of the popcorn but I still love the old fashioned ways of popping as well. I recall those long cold Illinois winter nights and sitting with mom all bundled up enjoying a bowl of popcorn. To me popcorn is a great reason to get together. With all that Kernel Season's offers now there is even more reason and a great variety of flavors everyone can shake on their own. Bacon and Cheddar season adds two favorites of nearly everyone in our house and maybe yours as well. The two taste together offer a delicious flavored popcorn. I have long loved caramel corn. I now love the fact that I can find that in Kernel Season's Caramel seasoning offers the same creamy delicious flavor in a sprinkle on topping. Ranch has become the new favorite topping of my kids so you know when we found Kernel Season's ranch seasoning it would become a favorite in our house as well. This special day comes just in the nick of time. Ten days prior to Thanksgiving day it's time to start the holidays off and clean the fridge. Some times it may be a bit scary but it is still a job that must be done. There may be things in there that the kids have put in and are now in the dark ends of the fridge where we barely see and never reach. We may discover where all our rubber dishes with lids have disappeared to as we participate in this clean up. The goal is to clean the inside of the fridge. It is important to spray every part of the inside of the fridge with a multipurpose cleaner. Remember to wipe down the walls, shelves, shelf seams and the rubber door seal. A non-abrasive sponge should be used to easily and quickly remove sticky, caked on spills. Using an old toothbrush (now girls just because your hubby did not make you smile today does not mean you can use his toothbrush for this job) to get into the crevices. Don't forget the exterior of the fridge. Stainless steel: use a damp microfiber cloth with distilled white vinegar and rub in the direction of the grain. Preheat oven to 350ºF. Have ready a large ungreased baking sheet. Mix flour, baking powder, baking soda, salt and oats in a small bowl; set aside.In a large mixing bowl, beat butter and sugars with an electric mixer until light and fluffy.Add egg and vanilla; mix well. Gradually add flour mixture, mixing with a spoon until well blended. Add cereal, coconut, nuts, and chocolate chips (or dried fruit). Drop by heaping teaspoons spacing 2 inches apart onto baking sheets. Bake 12 to 15 minutes or until lightly browned. Let cool on tray for a few minutes, then transfer to a rack to finish cooling.